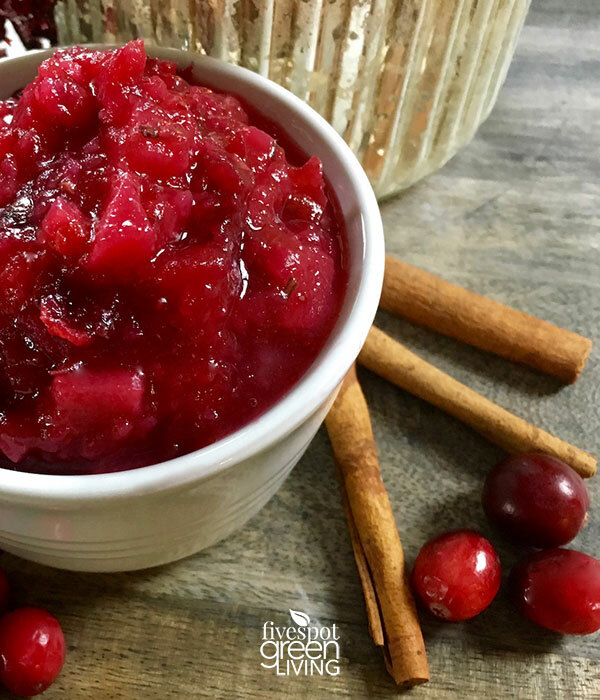 This gorgeous, delicious cranberry pear sauce recipe is sure to be a hit this holiday season! It is super quick and easy to make and does not include any refined sugar. Instead, it gets its sweetness naturally from ripe pears and a touch of real maple syrup. Once you try this recipe, you’ll never look at store-bought cranberry sauce the same. When I was a kid, my grandma used to always make the cranberry sauce. She used to use raspberry jello AND lots of sugar to make sure it would gel the right way. Oh boy, it was some solid cranberry sauce! We needed a knife to cut into it. It was more like cranberry pie than sauce. Then my mom and I started making the cranberry sauce using half the sugar and also half the liquid. And for water, we used some orange juice to cut down on the tartness of the cranberries. This seemed to work well. The cranberry sauce would gel in just the right way where we could use a spoon to scoop it out but it didn’t run all over the plate. I mean, who wants cranberry sauce mixed with green bean casserole? So now let’s discuss this recipe…no more sugar! There is no refined sugar in this recipe! I love the idea of using fresh fruit in this recipe as well. Yum. 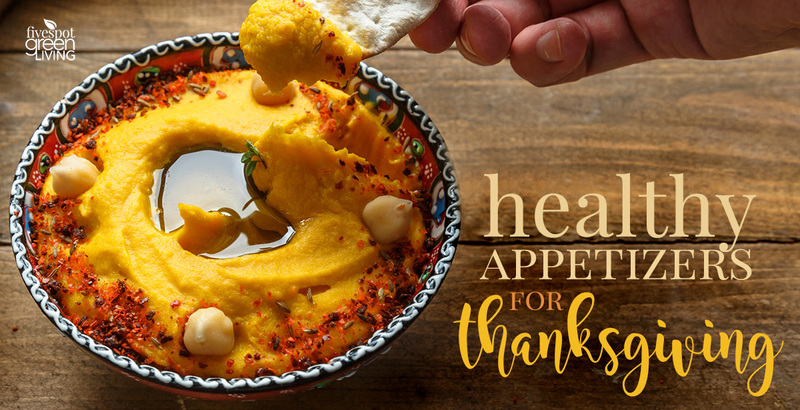 I am not a huge fan of ginger, but it’s actually a really good idea for Thanksgiving dinner – or any dinner really. Ginger settles ones belly so the mixture of food doesn’t cause turmoil on your insides. 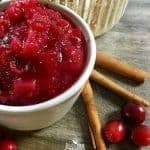 Finally a cranberry sauce recipe that doesn't require sugar or gelatin! 2 teaspoons fresh ginger peeled and grated? Add cranberries, pear, ginger, rosemary leaves, maple syrup, and water to a medium saucepan. Cook over medium-high heat, stirring occasionally, until the mixture starts to boil and the cranberries burst open, approximately 5 minutes.? Reduce heat to medium-low and simmer for another 5-10 minutes. While cooking, mash the cranberries and pears with a wooden spoon. Season with a pinch of sea salt and stir to combine. ? Remove from heat and allow sauce to cool for 15-20 minutes before checking the consistency. Add a little water if the sauce is too thick. Taste and add more maple syrup for a sweeter sauce, if desired. ? Optional: For a smoother sauce, blend one-half of the cranberry mixture in a food processor or blender until smooth. Stir puree back into the remaining sauce before serving. ? Serve immediately or chill before serving. Enjoy! 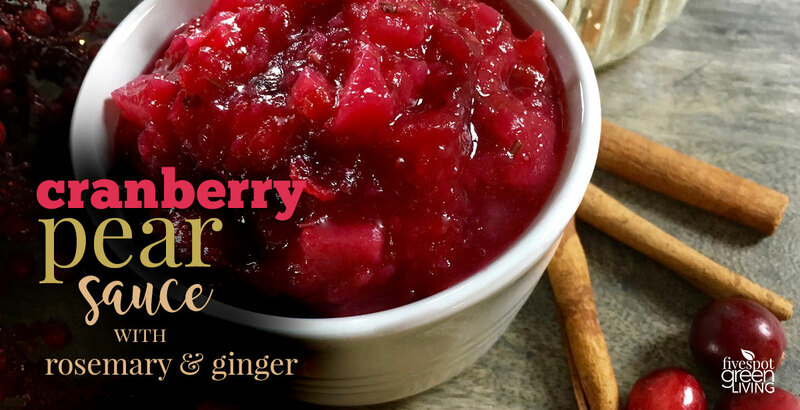 Finally a cranberry sauce that’s a little different – it sounds amazing! Thanks for sharing at the What’s for Dinner party! 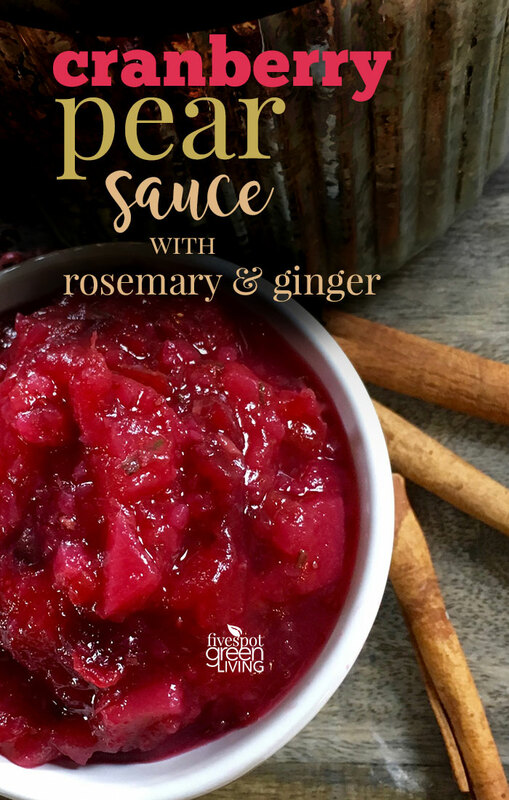 We will really enjoy your awesome Cranberry Pear Sauce, we just love pears! Thanks so much for sharing with us at our Thanksgiving Edition of Full Plate Thursday! Hope you have a great week and come back soon!